Prime area, blue chip architect, access to slopes and summer festivals … the only thing that would be better is a personal racquetball court. Has that too? Look no further. Lake Geneva was once the playground for wealthy industrialists from Chicago and Milwaukee, and for house lovers it’s one of the most beautiful lakes anywhere. There’s an original path around the lake that takes hours to walk, and it rivals that of Newport, Rhode Island in my mind. Real estate cardio. Brad Dunning (who’s also designed homes for Tom Ford, Steven Meisel, Demi Moore, and fashionable others) designed this one. I’ve been in it and it’s one of my favorite beach houses everywhere. 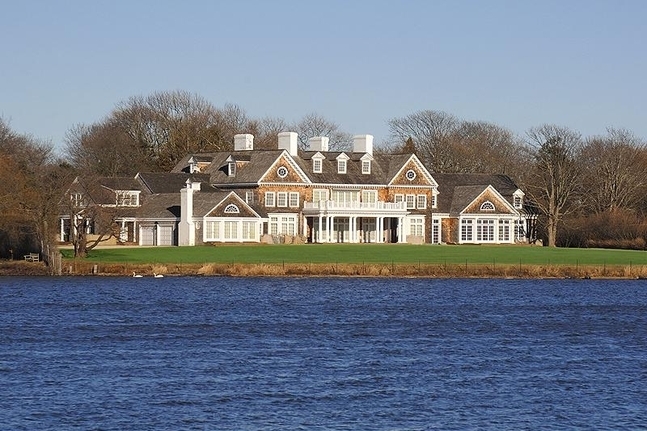 So many of my clients start by saying they want “Diane Keaton house in the Hamptons” or the “‘Something’s Gotta Give’ house.” This is the Nantucket interpretation. Sure, Manhattan gets a bad rap in the summer, but not true! For those who don’t live there, it’s the perfect vacation destination. And US Open is around the corner. Venice is one of the hottest ‘hoods in the world - yes, the world - right now. Google’s moved in, surf’s up, Cali girls are still the hottest (biases aside), and there are some of the best restaurants and bars at your doorstep. Warning: The multiple offers required to get in there right now are not for the faint of heart. I’ve always loved this one. I’m a sucker for indoor pools, and this one has one of my favorites. Miami in the summer may not appeal to everyone, but just think of how much fun you’ll have here in the winter. Oh, and look at that closet. Sold. There are few more beautiful and romantic spots in the world than the northern coast of California, and Mark Mills is THE architect for many of this area’s most stunning houses.